In this deadline-demanding, rat race society, it seems like we’re pushed to run and run everyday beyond our capacity. Suddenly, one day passes like an hour, and an hour seems like a passing mosquito. But now, instead of making stress a scary green monster that’s ready to eat you alive, we’re going to find out how to manage stress and keep it under control. What would you do if suddenly in the middle of night, your fire alarm rings? Would you switch off the alarm and go back to sleep? Of course not! You’ll search the house and try to find the source and spring into action to douse it out. Likewise, your stress. You don’t just slap a “this too shall pass” attitude then turn on the TV comedy show to distract yourself from the problem. Stress is merely a smoke, and fanning the smoke alone won’t save your house from the fire. 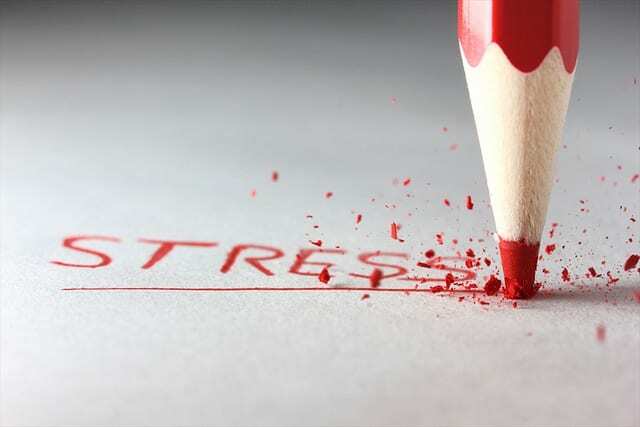 The cause of stress is typically poor self management and time management. Very often, we get mixed up between which stuff needs a higher priority than others. We lack self discipline and try to do several things at once or end up switching between tasks because the others are not desirable enough to do. We end up getting lazy and procrastinate, opting to rush within the last minutes. In one of the productivity seminars I attended, the coach inserted some pebbles to a jar. He inserted all the bigger pebbles first, then the smaller ones, then the sand, until the jar was full. He asked the participants, “What message can you get from this?”. “You can multi-task in between your schedule”, one participant replied. “No”, he answered. “The message is: you must prioritize your bigger goals first, the bigger pebbles. If you inserted all the sand first, or the smaller pebbles, there wouldn’t be enough room for the bigger pebbles. “Likewise, your time. If you keep wasting it for insignificant goals, you’ll lose your valuable asset for life, and you’ll lose in the long term. Under a great emergency, or what the mind PERCEIVES as emergency, human beings often do something incredible beyond their ordinary limits. The mechanism is quite simple. Under the perceived emergency, your body releases cortisol, which in effect stimulates the production of adrenaline. Adrenaline accelerates the breaking down of food – converting it into quick energy so we can react in a “fight or flight” response. The result is a great boost of alertness. It’s just a survival mechanism God has installed in your body. But an unhealthy, excessive cortisol production can induce stress. And as law of nature conducts, all good things done excessively will turn out bad. Sometimes we react more to pain and fear than pleasure. But it’s just the way the human mind works. Now you could use it against you, or to your advantage. Turn stress into your natural caffeine, use it to kill procrastination, and take action. A quick relaxation and deep breathing technique – like a little pause button to your non-stop world – will work wonders for you. Plus, the deep breathing can supply oxygen to refresh your brain. Sit or lie down in comfortable position. Close your eyes and take a deep, diaphragmatic breath. Slowly count in your mind from 100 to 1, or from 50 to 1. It’s better if you do it while listening to alpha or tetha binaural beats with your headset. They’re available for free to download everywhere, and many are music-free. This audio might sound weird for first-time listeners, but it works by stimulating the alpha state in your brain, which induces the relaxation and creativity state. Listening to this audio is better for your brain than music. Empty your mind from worldly stuff during the process and focus on your breathing. Give yourself a suggestion, like “on each count, I’m feeling more relaxed”. Alternatively, visualize your problem as trash, and on each count you’ll ditch them one by one into the garbage can. What works best for me is visualizing a beautiful green garden with flowers and fountains. Done; or repeat until you truly feel relaxed. 5. Don’t Forget to Smell the Roses! Once you’ve completed your tasks, reward yourself. Truth is, if you can’t appreciate or care for yourself, no one would do it for you. Reserve a block of time each day or week (depending on what activity you want to reward yourself with) to do something relaxing and rejuvenating. We live only once and if we run too fast, we’ll miss a lot of beauty on the sides of the road. Stop and smell the roses. Life is about keeping a balance between yourself, your family and beloved one, work, and of course with your Divine Creator. Get your dusty Qur’an from the shelf and recite it heartily, while pondering its meaning. Take your family out for a picnic. Bike to a hill and breathe some fresh air. Life is larger than what you perceive it inside your box. Be grateful that compared to a billion people on the planet, you’re still blessed. Try the tips above and share your experience in the ‘Comments’ section below! Fatima Ariadne is a graduate student. She shares insightful tips on spirituality growth, inner peace and life reflection on her blog. Visit her blog to taste a cupcake of inspirations and download a free e-book “100 Beautiful Positivity Hadiths to Recharge Your Soul”.